Some people want dinner out at one of Maine’s best restaurants for their birthday. Others are hoping for a sweet treat and a nice bottle of wine. Mary Beth Patnaude of Wells, Maine is asking her friends and family to donate to at The Barbara Bush Children’s Hospital (BBCH). Just six weeks ago, her 14-year-old son, Aaron, was fighting for his life in BBCH’s pediatric intensive care unit. Patnaude wants to use her birthday to support other children who need life-saving care. Patnaude is using the My Miracle Birthday website platform to collect donations. The website allows the birthday donor to personalize their fundraising page and share with friends and family via email or social media. The amount that Patnaude raises in support of the children being treated at BBCH will be doubled, thanks to matching gift commitments from Saco & Biddeford Savings Institution and P&C Insurance. 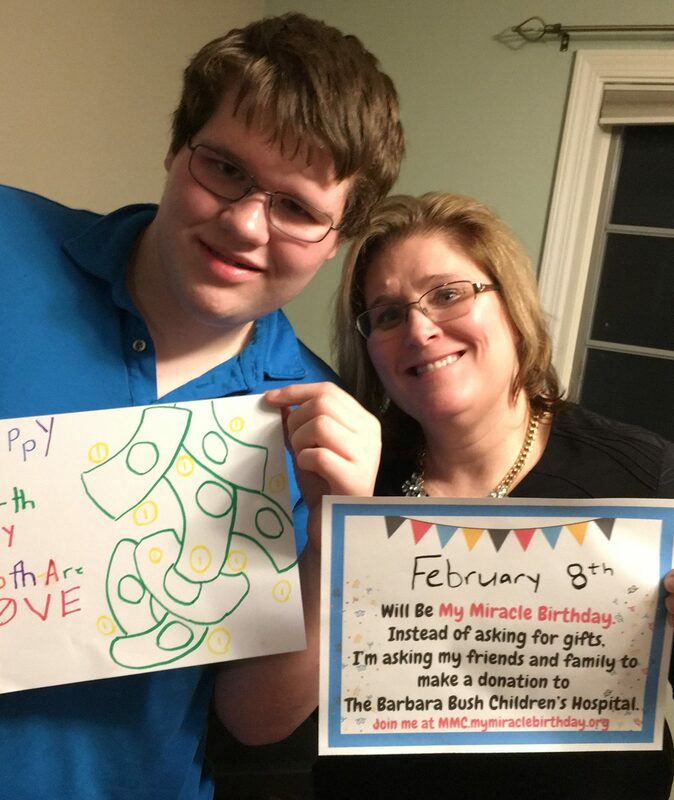 To learn more about the My Miracle Birthday program and the matching gift commitment from Saco & Biddeford Savings and P&C Insurance, click here. Previous post: Panda Express Beats Fundraising Records… AGAIN!